Considering important challenges of horse ownership. So, you have decided to get your first horse for either yourself or your child! 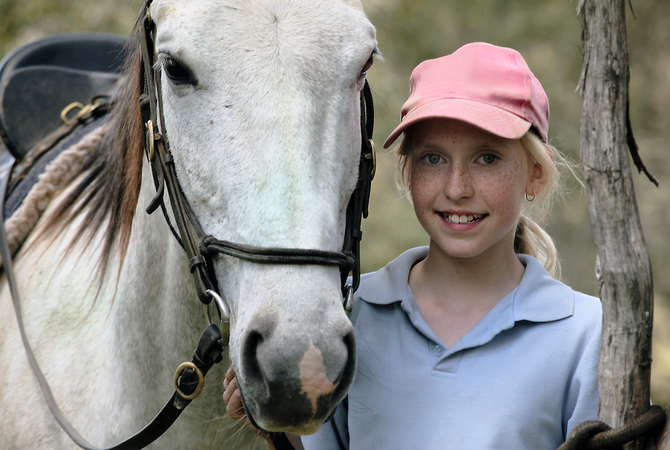 If the horse is going to be for your child, chances are riding lessons have been involved and you know a trainer or riding instructor who is either looking out for you or who has expertise when it comes to selecting a horse. Or, if you are an adult getting into horses for the first time or maybe you used to ride horses when you were a kid and now have the income to support one, either way, this article is for you. Miriam and Nan enjoying a competitive trail ride. Whenever I am asked about my two horses and our story, I always tell people I was one of the lucky ones. I bought my horses as an adult, and even though I did it wrong, I was surrounded by people who could help me get it right or at least tell me or show me how to fix the problem. I am also one of those (annoying, I know) people who just becomes a perpetual student of the subject I am passionate about and I never stop striving to be the best I can be at it. Miriam participates in NATRC rides. 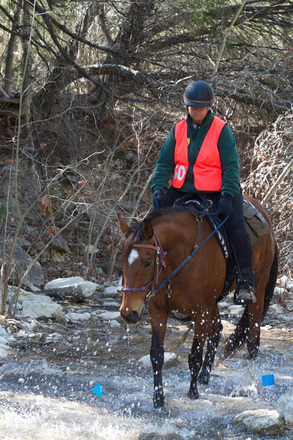 Trail riding, competitive or not, is a great way to enjoy your horse. Learn more at: North American Trail Riding Conference. But I was managing a horse farm (how I found and got Nan) and I went out and bought the large picture books written by Tom Dorrance and Ray Hunt. Then I sat there and read and re-read and I spent A LOT of round pen ground time and ground training before I ever got on Nan's back. Four years of working at a horse farm and my willingness to learn was the reason I hired a trainer. Reed Branson found it so easy to saddle and train Nan (she was 5 before I passed her over to him). Here are the main reasons that I am a success story and now have two horses - though why I have Misty now is a part of why I say, "Do as I say and not as I did." I was willing to come into it with no habits or preconceived notions. I was willing to put A LOT of time into learning some basic horse principles that you need before becoming a horse owner. Horses are expensive both to buy and own. Cheap will get you hurt or killed. New horse owners need to ask questions -- listen to everyone and then go with your gut. Surround yourself with the “right” kind of horse friends and don’t be afraid to find new ones if the ones you start with prove to be the wrong friends. You WILL know the difference. A horse-owner-to-be should buy at least one great all-around “So this is your first horse" book and read it before you buy your first horse. Keep it around; add to the library as needed. BUT, the truth is: Deciding on your horse and writing the check is actually the very last thing you do when you want to become a horse owner. First, you must make some major decisions. 1. Where are you going to keep your horse? Do you have property or are you going to board? Is it fenced? Is it safe and free of debris or ways your horse can hurt itself? Do you have some form of shelter? Choice of barn or three-sided is going to depend on where you live and what the seasons are like. Do you have or need a round pen, stocks (for the vet), feed shed, equipment shed? Do you either have or have access to a pasture? If you keep your horse at home you will need to calculate costs of hay, find local producers and understand that there will be ongoing costs for maintenance and care of the various areas your horse stays in. Do you understand feeding and daily caring of a horse and the amount of time it takes? YOU will HAVE to do this every day, 365 days a year, no matter what the weather is. Horses cannot and will not take care of themselves. Unlike a dog or a cat, there is no place to drop your horse off for daily play centers or boarding. You will need to find or have someone who can care for your horse if you go on vacation without her. For most people, owning horses becomes both lifestyle and vacation time. Physically check each location out and pace the time to and from your work and home. After the newness has worn off, this will be a HUGE factor in how often you go to see, spend time with and ride your horse. Get referrals and talk to the boarders and really look at the facility. It can be clean and safe and not look like a million bucks. Are the stalls relatively clean? What does the water look like in pastures and turnouts? Are there shaded areas in the turnouts? Is there someone living on site and is there someone there full time? Don’t go with the first one you see. You do not want to stable hop, you will want stability and a group of friends to hang out with. Board is charged on a monthly basis and can go from something as simple as pasture board to full service. Find out exactly what the stable charges and what is covered under the monthly cost and what is not. Turnout, blanketing, daily fly mask on/off, hay amounts, and farrier and veterinary support are usually extras and can add up. You may be able to reduce your board bill by helping out at the stable. This will require a true commitment as you are helping the owner finish his/her daily routines for care of the horses at the facility and they build a schedule around that volunteer time. 2. Do you have the proper vehicle to tow a trailer? What size trailer will it haul - the important question is not just "Can it haul the trailer?" BUT "Can it stop it?" It is always better to have more than you need than not have it if you do need it. Understand that you will be maintaining two vehicles, your truck and your trailer, and both will require insurance and yearly inspections and tune-ups. 3. Do you have a trailer? Have you ever hauled a trailer with a live animal in it? Hauling horses requires a great deal of knowledge, not just about the physical driving of the truck and trailer, but knowing that hauling live animals requires compassion and understanding of what they are going through as you haul them AND requires a whole new way of driving AND STOPPING. You are also going to have to check with your insurance company and see if they insure trailers that carry livestock. Trailer insurance is a shopping around affair that needs to be done before you buy your new or used trailer. What kind of riding you want to do will mandate the type of trailer you want or need. The more you need (living quarters vs stock trailers) can also make the trailer more or less expensive. Used or new trailer? Take a knowledgeable friend with you on private buys or buy from a dealer so that you have recourse if you need it. Choice of steel or aluminum is another consideration in your selection of trailers. I strongly suggest that you invest in a yearly roadside assistance plan and AAA is probably not going to be available. Owning a horse is not as simple as owning a dog or a cat. We still have the tack and the horse itself to discuss. I can tell you that, with time and investment, horses turn out to be a worthwhile addition to anyone’s life. I know my life is better in so many ways because I have Nan and Misty. So… if you are still in… then stay tuned for Part Two. Happy Trails! This is part one of a two part series. Read part two here.